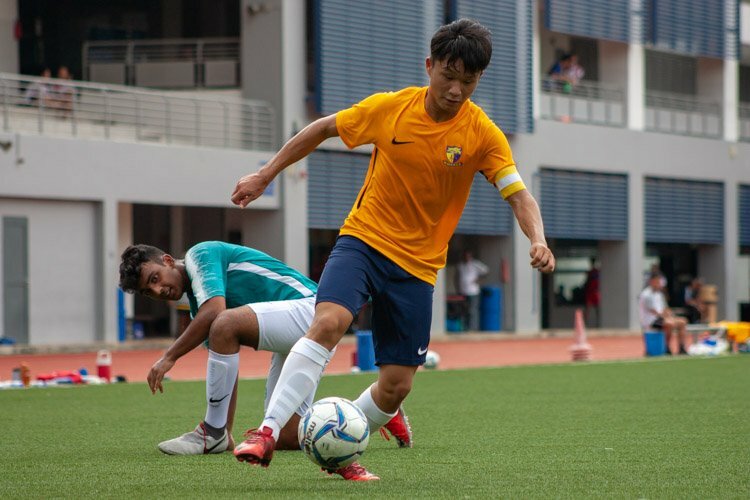 Jalan Besar Stadium, Wednesday, May 9, 2018 — In one of the season’s most exciting matches, Nanyang Junior College (NYJC) narrowly edged out Millennia Institute (MI) on penalties, after the game ended 1-1 in normal time, to retain its third placing in this year’s National A Division Football Championship. 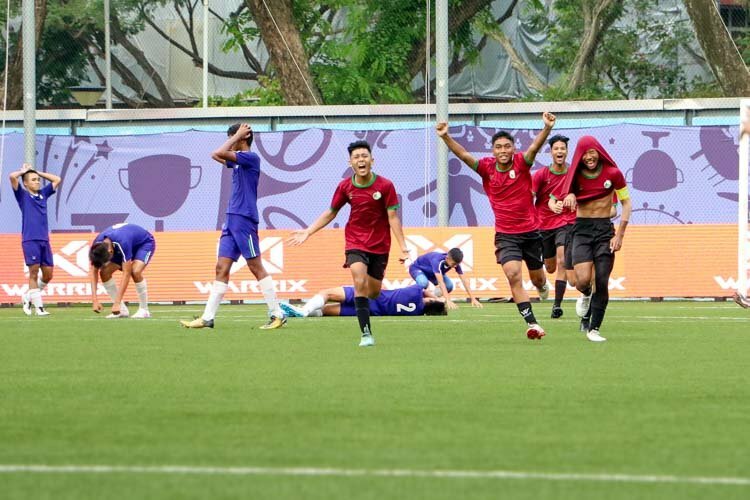 Both teams were evenly matched all the way through extra time and the following penalty shootout, and it took a sudden death penalty shootout round for NYJC to emerge top with Javier Chua (NYJC #1) scoring the decisive goal. 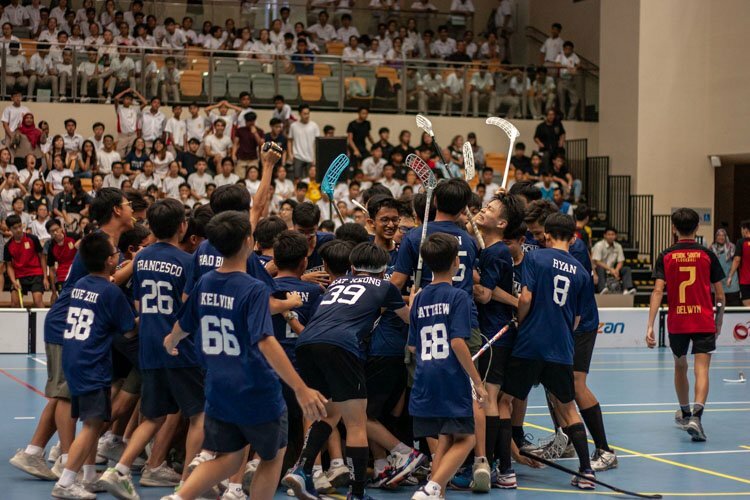 NYJC eventually won the penalties with a score of 5-4. 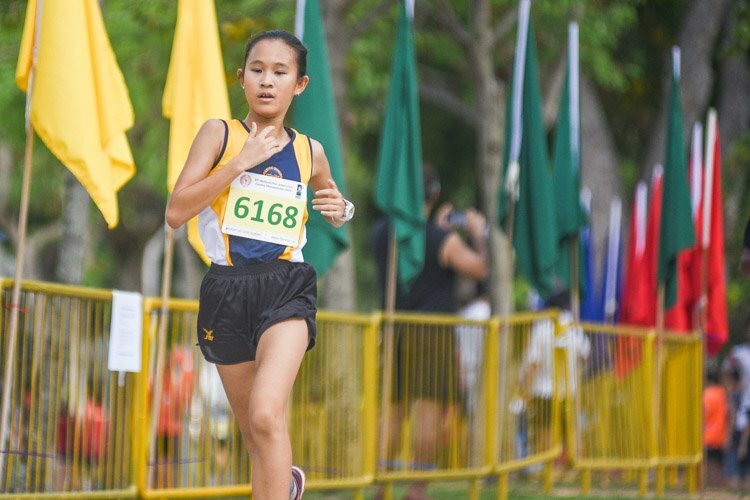 This is the second consecutive year NYJC came in third. Despite dominating the play for much of the match, the NYJC team lagged behind in the first half after MI’s Amrin Taufan (MI #2) broke through his defender to place a low shot neatly past the keeper at the 16th minute. 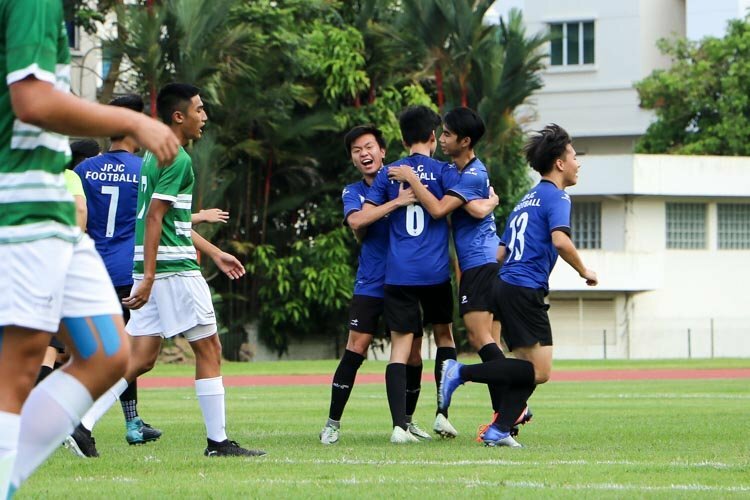 The team came back stronger in the second half, with Banbury Lee (NYJC #12) making several attempts at the goal. 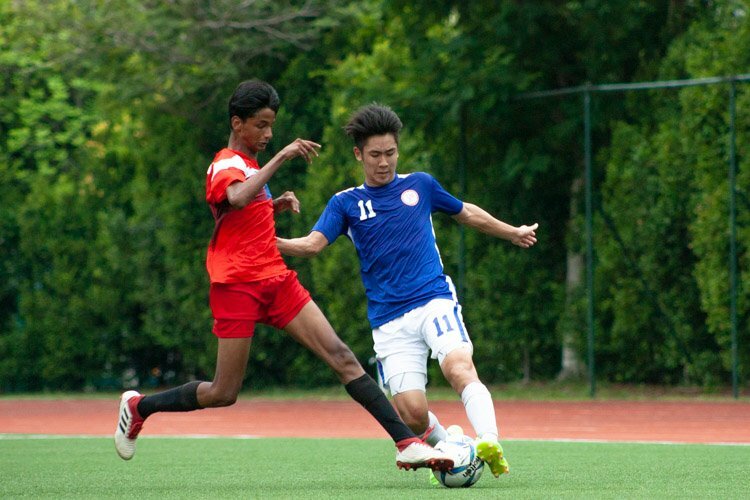 But it was Ashvinath (NYJC #8) who finally scored the equaliser. 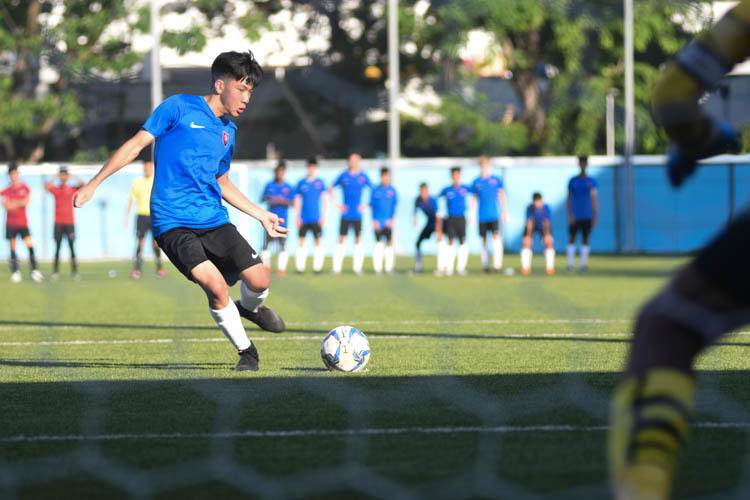 The second-year student capitalised on a missed clearance by MI’s skipper Mukundan Malaiya Maran (MI #13) and reacted the quickest to volley the ball into an empty goal, late in the second half of the game. His goal also cemented the team’s turning point in the game. Ahmad noted that a pep talk during halftime revived their spirits. “The first half, we were a bit shaky, we weren’t composed as much, then after the team talk, we went to the second half full of confidence; we played our usual game and stuck to the plan,” added Ahmad. With a tied score of 1-1, the game progressed to extra time where both schools came close to goals, but were denied by the posts or the goalkeepers. The following penalty shootout yielded no clear winner, and it all came down to the final round of the sudden death penalty shootout. 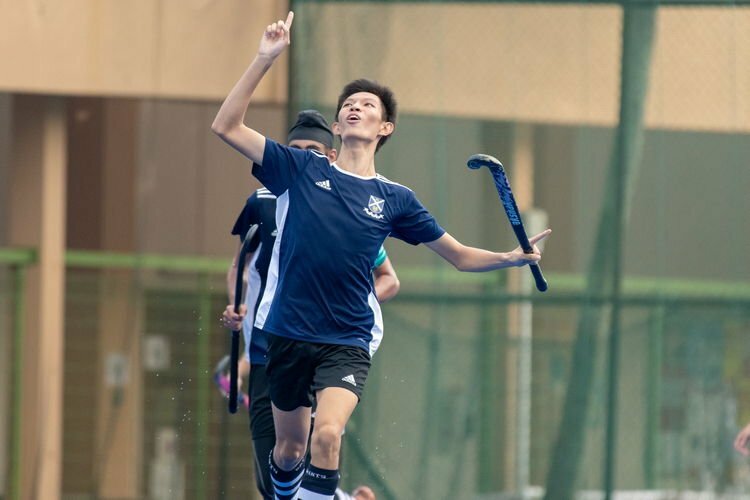 Scoring the decisive goal was Javier Chua (NYJC#1), whose successful attempt ended a long series of back-and-forths between the two evenly matched teams. 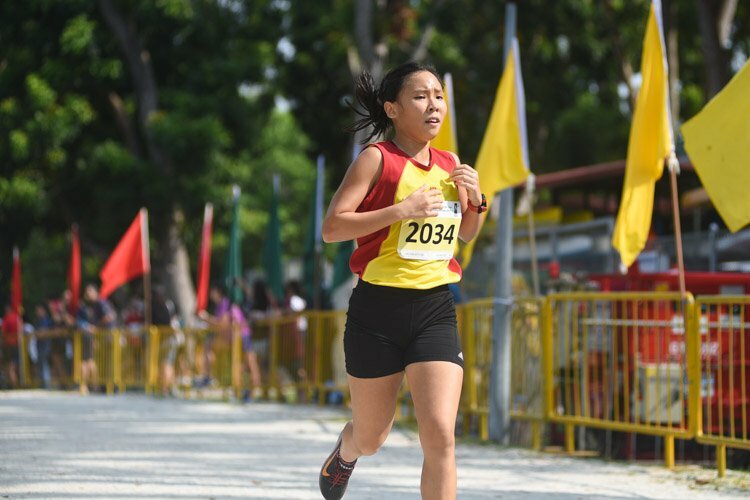 “I felt like I had to step up for the team. I put the nervousness aside and I prayed to God and my mom, and then I was able to pull through and score the winning goal,” said Javier. 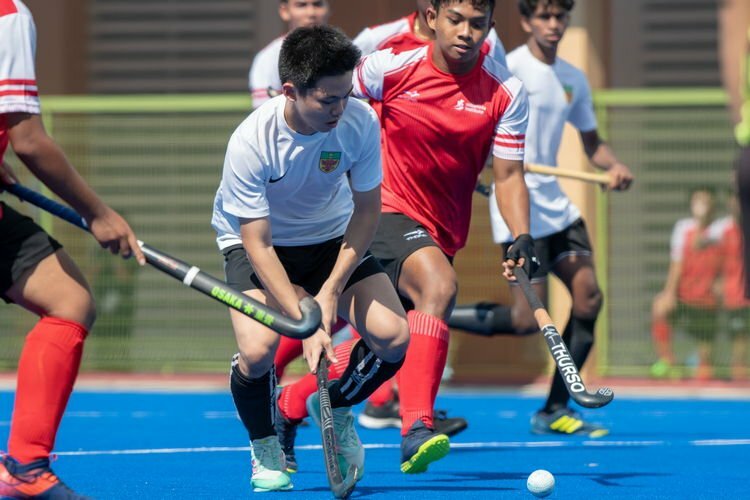 Despite MI’s loss at the game, coach Michael Adams remained pleased with the team’s fourth placing as this is the first time in MI’s history that they have made it to the top four. Likewise, MI’s captain, Mukundan Malaiya Maran (MI #13), was proud of his team for holding out until the penalties stage. 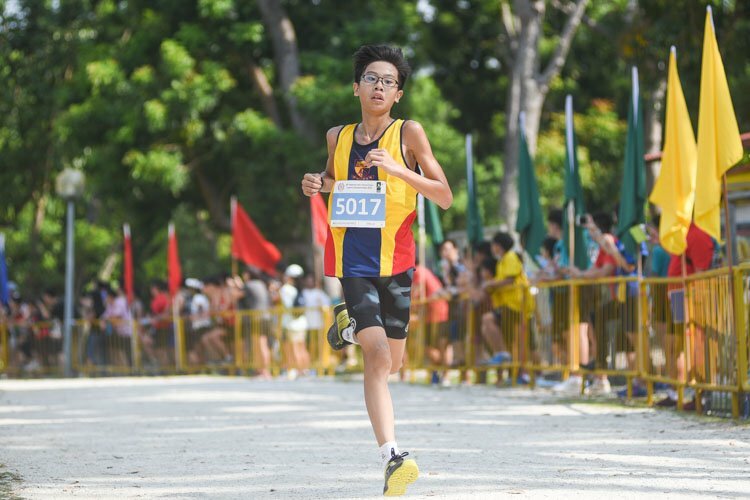 “Unlike a lot of other schools that have DSA players… we don’t have DSA, so a lot of the players come into the school playing football for the first time,” said Mukundan.